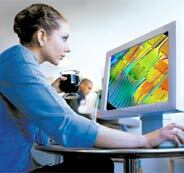 The world's easiest-to-use computational fluid dynamics (CFD) software for thermal management of electronics. Innovative, intuitive and powerful, Coolit guides the novice, yet imparts full control to the thermal expert. Join the world's best companies who rely on Coolit for their thermal design needs. Find out how you, too, can work smarter, faster, and more reliably.